Victoria Tower stands out among its neighbors and acts as an icon for the surrounding area. 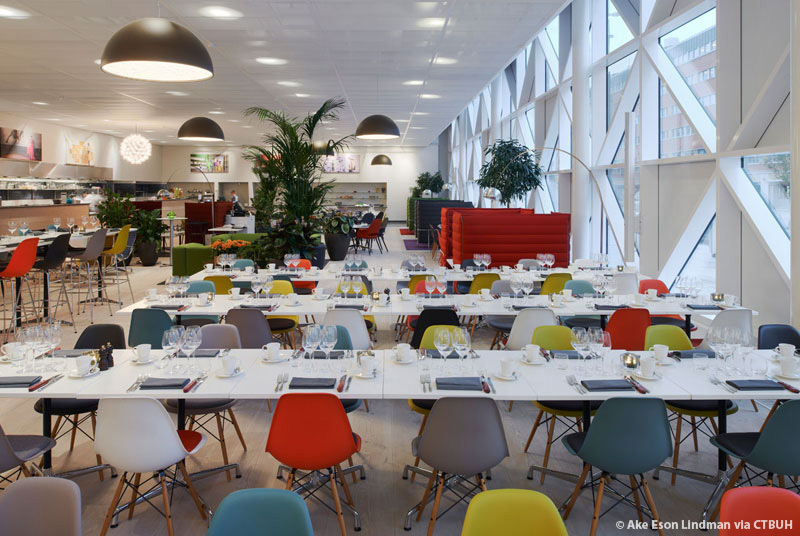 Situated between Stockholm proper and the city airport, the hotel and office tower serves the area with conference and office facilities, as well as providing a 299-room hotel. Seen on the way into the city, the tower stands out as a welcoming figure along the expressway. 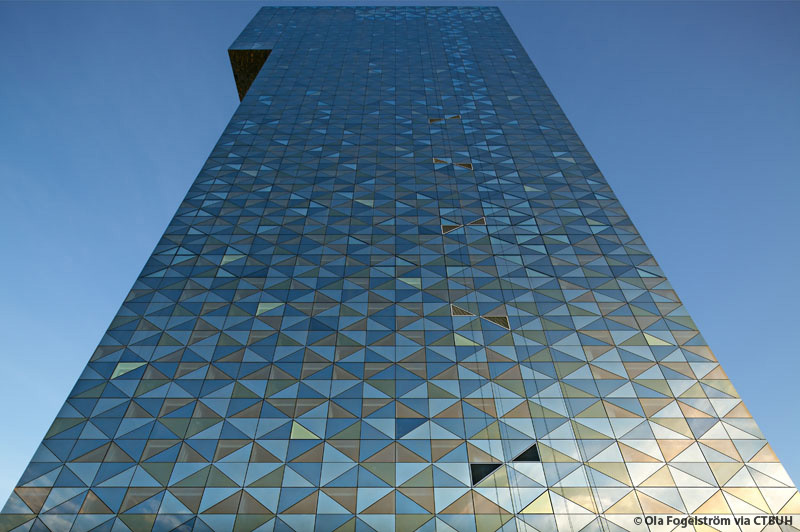 Sited in Kista Science City, the hotel serves a mixed population of researchers, students, and businessmen. 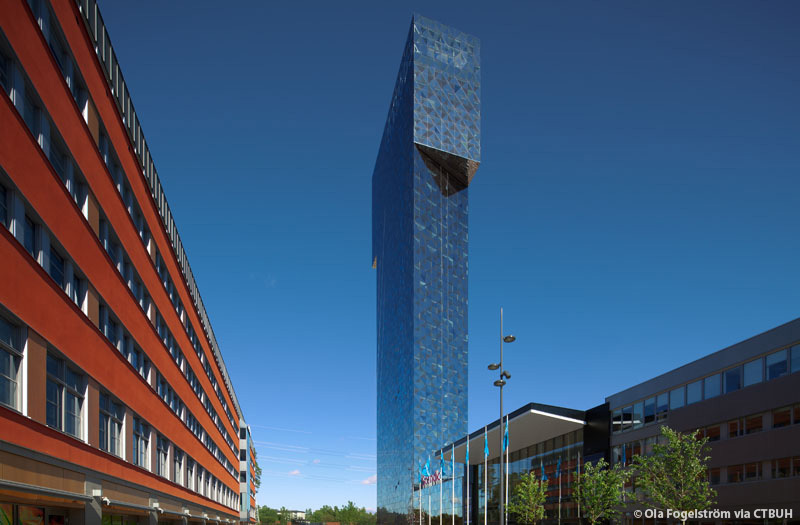 Nearby are the Kista Expo Center and shopping center, as well as other amenities. 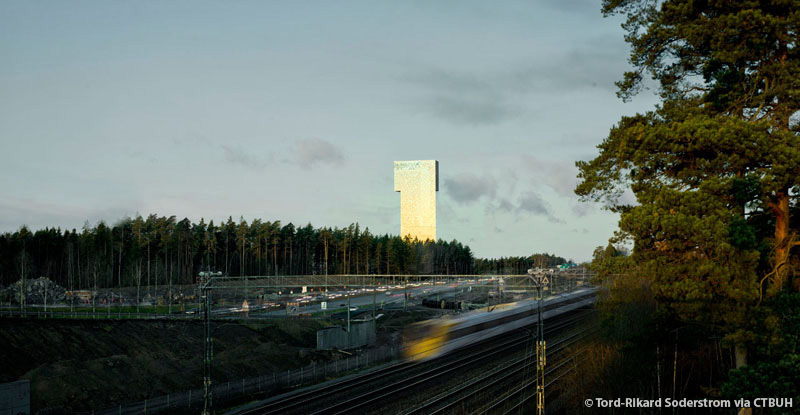 Just 15 minutes away from the Stockholm city center and 20 minutes away from the nearest airport, the tower’s location is ideal. Within the tower, a mix of programs acts to meet the needs of the diverse range of users. An open approach to the lobby, lounge, and restaurant creates a large space conducive to meeting or relaxing, as well as serving the basic needs of meal service and guest reception. The skybar on the 34th floor offers views of both the surrounding environs as well as Stockholm in the distance. The tower has a parallelogram-shaped plan for floors 2–21, which comprises the hotel rooms, while the upper floors are rectangular, delineating the office spaces. The top floors cantilever over the main form of the building, emphasizing its geometry. 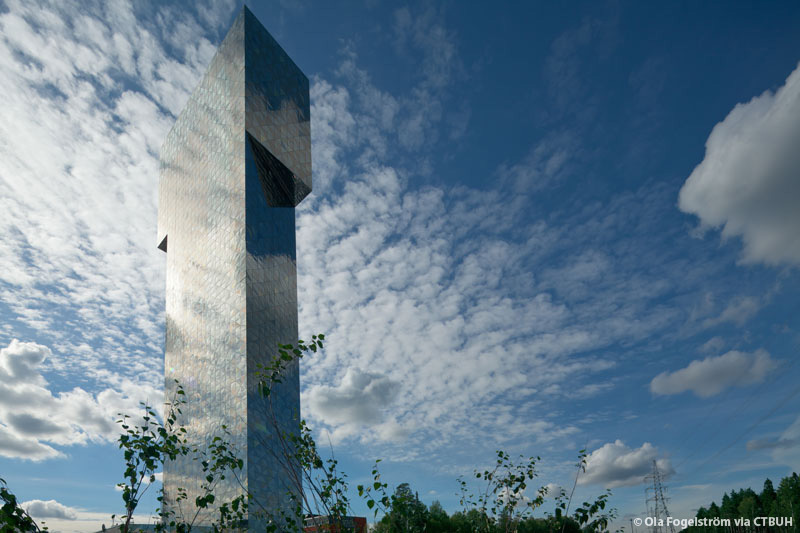 At 34 floors, the tower is a simple yet highly delineated prismatic tower in both its form and materiality. 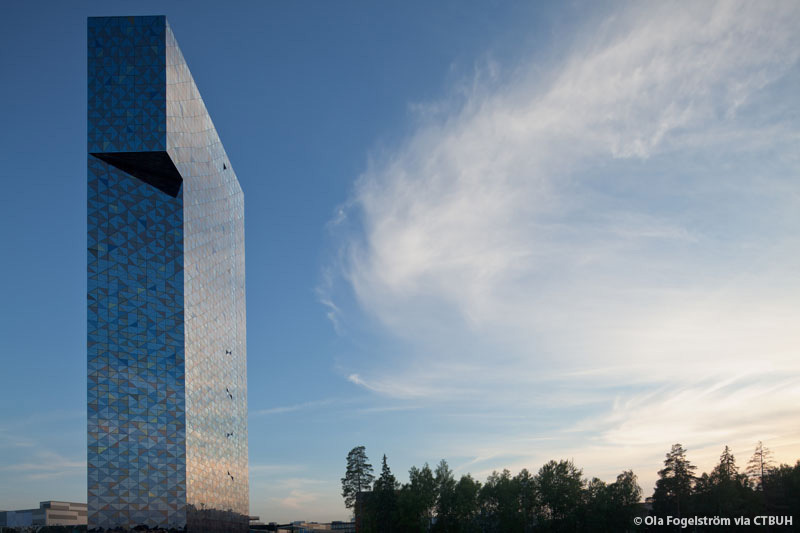 The tesselated façade of the building is clad entirely in colored glass, though in actuality two-thirds of the walls are fully insulated. This allows the tower to appear as a prism in its geometry and materiality while meeting the needs for energy conservation. Software was developed specifically for the project to create a randomized yet uniform appearance. 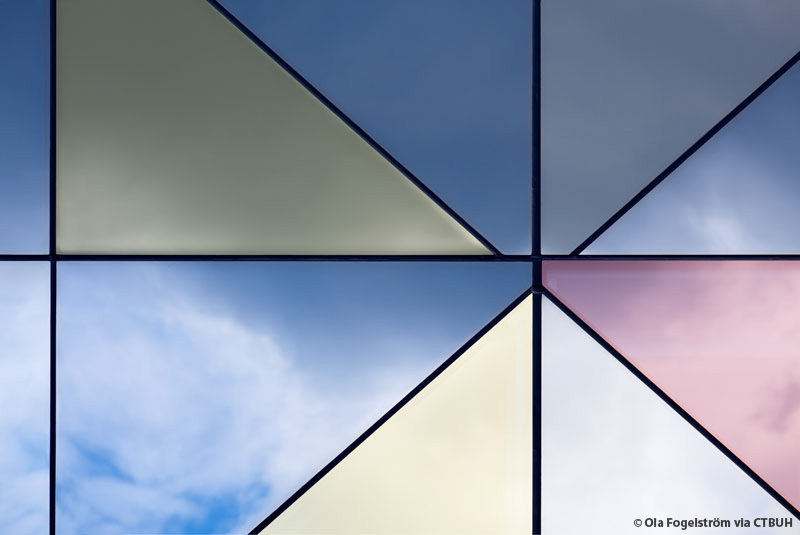 Due to the nature of the reflective and colorful glazing, the experience of the building changes with the viewer’s perspective. 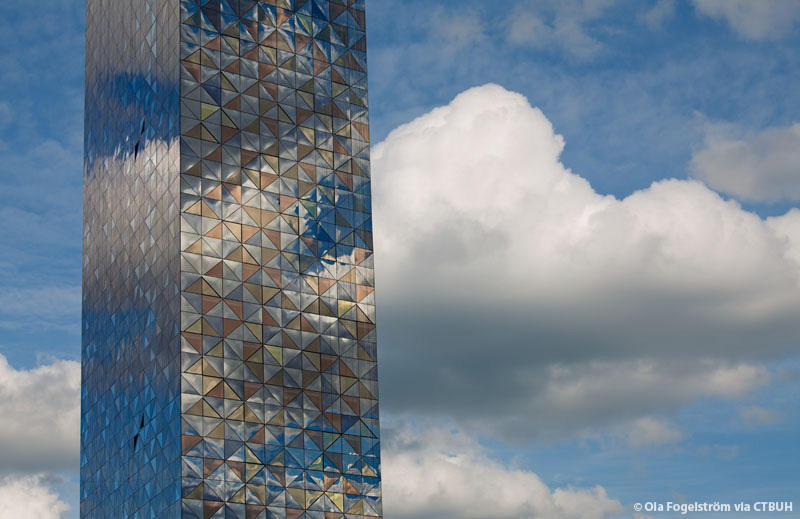 Changes in daylight, weather, and season also affect the expression of the façade, ultimately creating a new and different representation for every visitor. 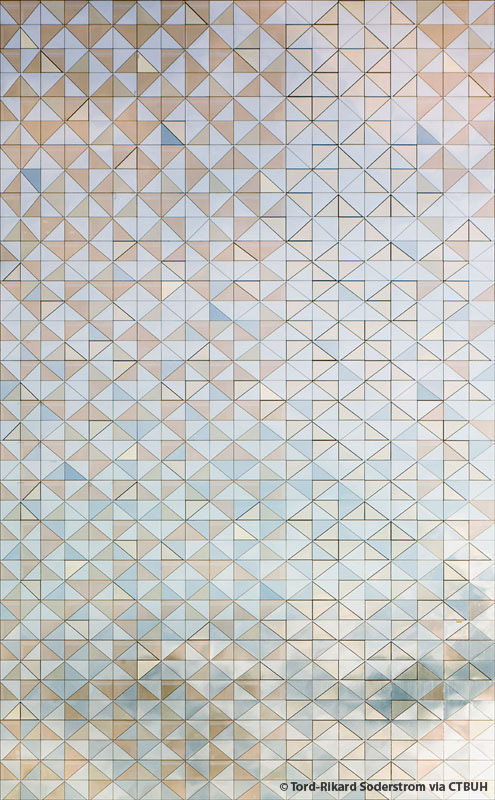 The triangulated module of the façade is heavily articulated on the inside of the building, with a seemingly random mix of solid versus transparent modules. This pattern brings in daylight in a very non-traditional way, as opposed to typical rectangular window openings. 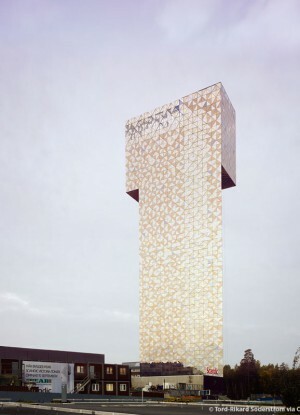 At night, the glow on the exterior of the building is the opposite of this effect; brightly lit triangles are interspersed with solid walls, further emphasizing the geometric expression of the tower. Relying on Scandinavian Modernism with a mix of color and classic designers, the interiors of the building are light and clean. 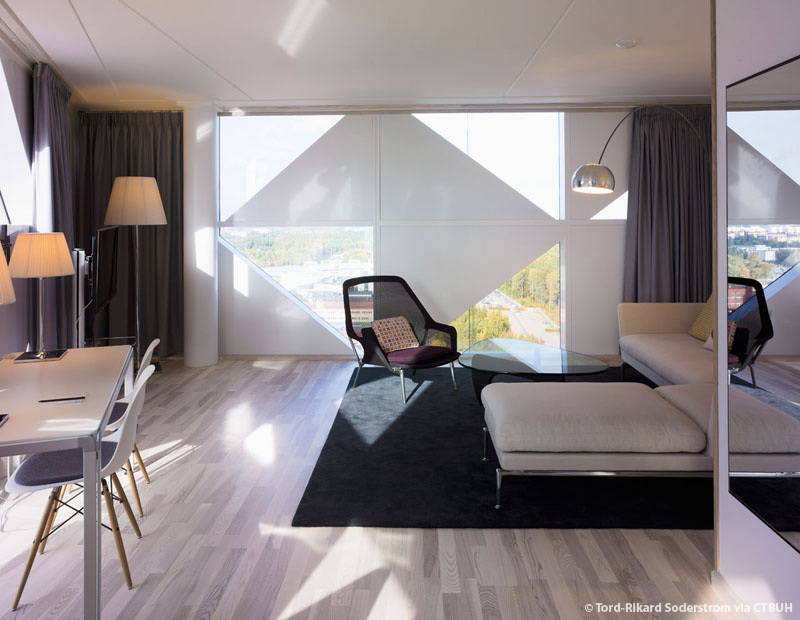 Furnishings by Vitra are found throughout, along with classic Scandinavian light hardwoods and white wall treatments. 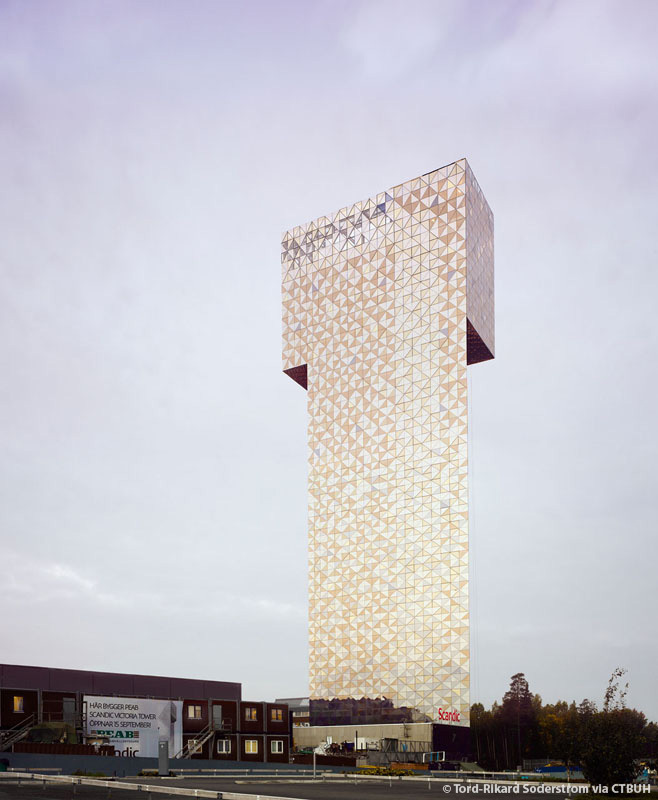 As the second tallest building in Stockholm, Victoria Tower sets a unique precedent for the approach to building tall in a typically low-rise region. The straightforward formal geometry and highly developed textural façade treatment are a modern interpretation of traditional Scandinavian approaches: simple yet extremely well-executed.